Purchase and Sale Transactions: Mr. Elkind has represented clients in the negotiation, documentation, and due diligence investigation of numerous purchase and sale transactions involving office buildings, hotels, apartment buildings, industrial properties, resort properties, residential properties and agricultural lands. Development/Construction: Mr. Elkind has represented clients in the development of residential, commercial and resort projects. Mr. Elkind has represented clients in the negotiation and documentation of design and construction contracts for new developments and renovation projects. Commercial Leasing: Mr. Elkind has represented both landlords and tenants in commercial lease negotiations and documentation involving retail, office and industrial/warehouse properties. Dispute Resolution: Mr. Elkind has represented clients in negotiating and documenting settlements of disputes concerning real estate sales transactions, leases and construction issues. Business Transactions: Mr. Elkind has represented clients in drafting and negotiating a variety of general business contracts, such as consulting and service agreements, asset purchase agreements and vendor contracts. Mr. Elkind has been listed in The Best Lawyers In America for his work in the practice area of Real Estate Law and he holds the highest Martindale-Hubbell Peer Review Professional Rating of AV (Preeminent). 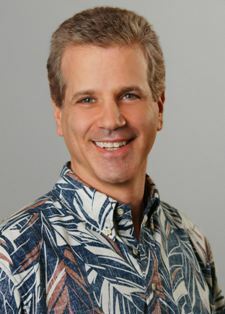 Mr. Elkind has served as a volunteer attorney, director and officer of Volunteer Legal Services Hawaii and has been recognized by the Hawaii State Senate for his contributions to pro bono legal service in the community. Mr. Elkind grew up in Lexington, Massachusetts, and has two daughters.